Do I have to replace my Halon Suppression System? 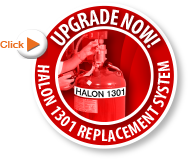 No, there is no requirement to replace your Halon Fire Suppression System. In the mid ‘90s, the manufacturing of Halon was banned because of the environment effects of the gas. However, the use of Halon was not banned. In fact, there are hundreds of systems still in service. The agent can still be acquired through groups that reclaim and recycle the material for use on the market. The problem lies in the discontinued manufacturing and limited availability of replacement mechanical parts for Halon systems. The potential for experiencing a gap in fire protection due to mechanical problems exceeds acceptable risk for most organizations. It is this lack of Halon system parts that is the issue, not the use of Halon. If you find yourself in a room during a fire hazard, the Halon discharge is safe and will not harm you. The fire protection industry has tried to get this message out for over 40 years, but we still find people today who think this gas is unsafe. The common mistaken belief is that Halon removes oxygen from the air. However, the Halon Alternative Research Corporation suggests that the agent chemically reacts with all three components of a fire (fuel, oxygen & ignition source) and not by removing the oxygen. So, how safe is it? Extensive research has been performed on the toxicity of halocarbons over the years. In the past this research was performed by observing animal tests. Researchers tested and determined two main exposure levels of agent concentration, the NOAL (no observed adverse effect level) and the LOAEL (lowest observed adverse effect level). Most recently, research has used a method called the physiologically-based pharmacokinetic model or PBPK model for short to determine a more accurate evaluation of the length of time that a person can be exposed to a chemical. 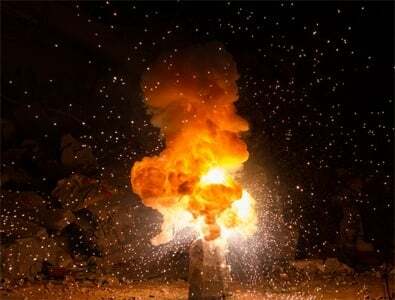 By these studies, concentration and time levels a human can safely be exposed to Halon 1301 have determined Halon 1301 to be a very safe extinguishing agent. While Halon is no longer produced in the United States, the agent is readily available in the before mentioned recycled format. It is still permissible to recharge fire suppression systems with Halon today, as well as into the foreseeable future. In fact, there is no requirement in the United States forcing system owners to remove a Halon system from service. However, Halon system parts are very limited, and in some cases, not available at all. Although some states are banning the sale of certain hand-held extinguishers for non-commercial uses, the answer is generally no. However, effective January 1, 1994, the production and importation of new Halon was banned in the developed world through an international agreement called the Montreal Protocol. Careful use and conservation of Halon is, therefore, important so that existing supplies will be sufficient to meet all future needs. Do I Have to Report Halon Discharges to the EPA? How Do I Recycle My Halon? If Halon is still contained in cylinders, the Halon can be reclaimed for reuse. Some Halon distributors and users have been doing this for many years, long before Halon emissions were identified as an environmental problem. Since current legislation prohibits the production or importation of new Halon into the U.S., recycled Halon is now the only source of supply and it is a highly recommended practice. In fact, the reclaiming and recycling of Halon has won “national” and “international” awards for its efforts to reduce Halon emissions into the atmosphere. 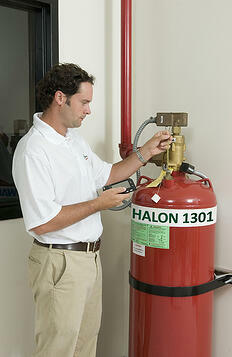 Simply by contacting your fire suppression service company, you can have them remove the Halon. The fire suppression industry, in conjunction with EPA, formed a non-profit organization to assist in Halon recycling. The Halon Recycling Corporation (HRC) acts as a facilitating organization by providing information services to match companies who have a surplus of Halon with those companies who have an ongoing need for the fire fighting agent.